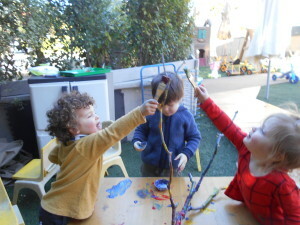 Today the children did an activity in where they all had to work together. The children saw a branch that was taken away from the tree because of the wind from last night. 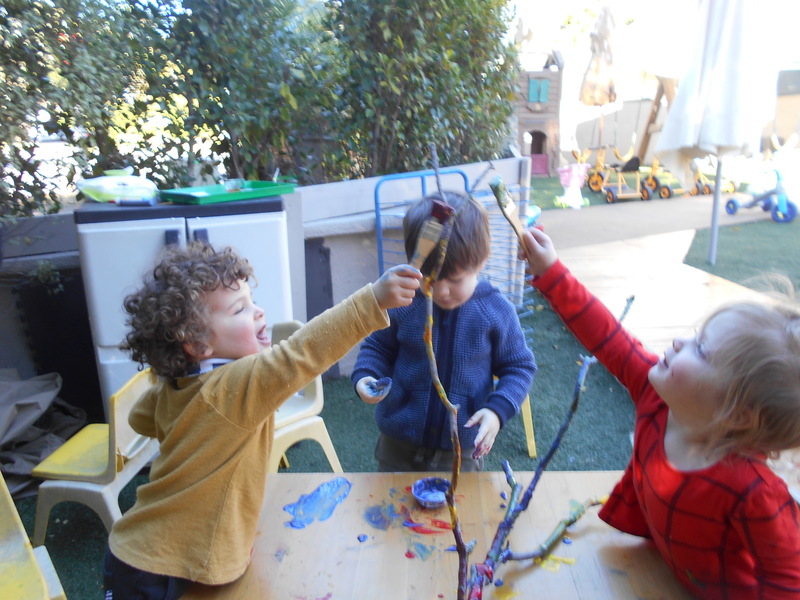 The children said that the branch looked really sad and lonely so they decided to add some color to cheer the branch. 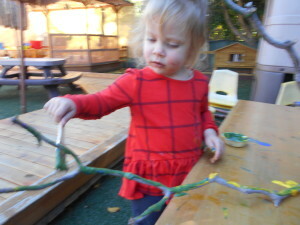 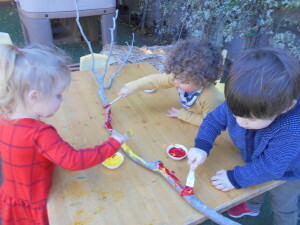 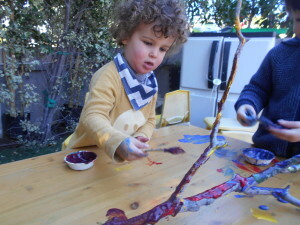 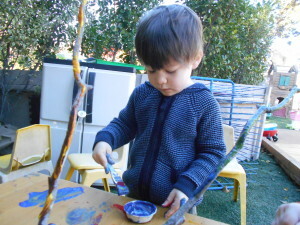 The children had so many ideas of what color went on the branch. 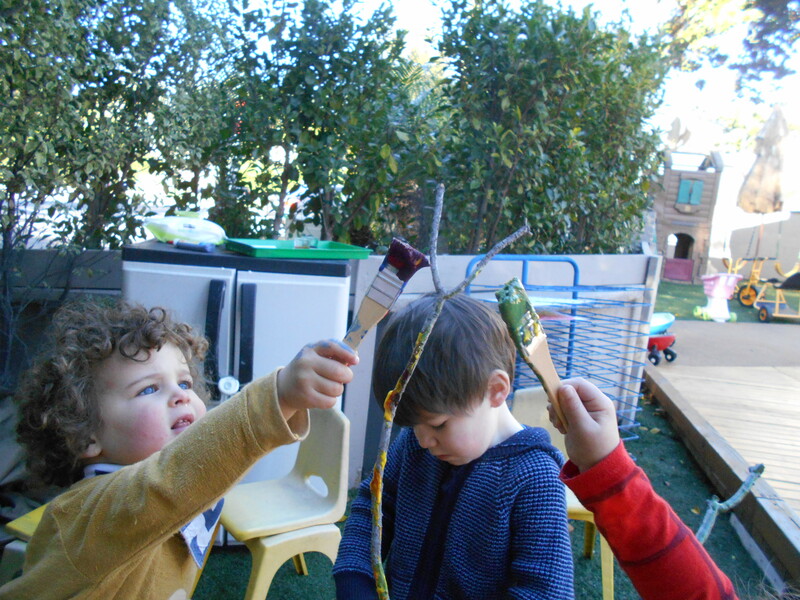 It was amazing to see the children work together during this activity.